Here we’re introducing the Type T(witter) meeting with the head of the FDA on streamlined drug development. 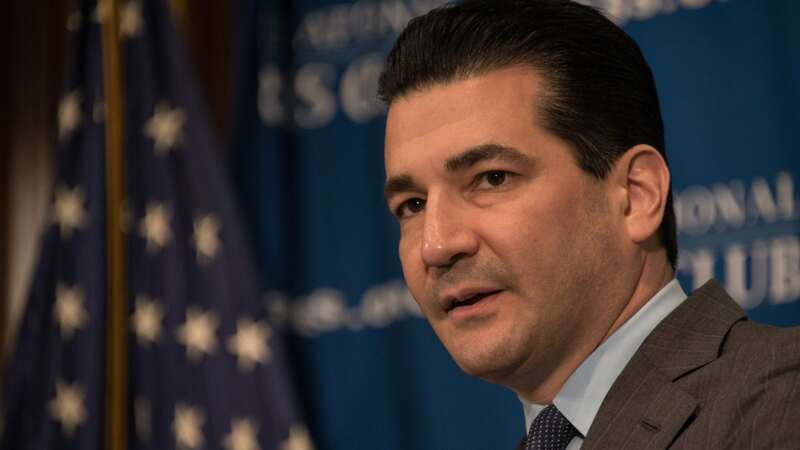 Anybody who’s been paying attention to our surveys of the Endpoints 100 would not be surprised to learn that a large majority of biotech execs have a big crush on FDA commissioner Scott Gottlieb. One big reason for the love affair between the industry and the commish is that from the execs’ perspective Gottlieb’s pushing to make the agency far more responsive to criticism and the need to batter down some longstanding hurdles in the way of drug developers. And they want it done without tossing the gold standard of R&D out the window and making it a free-for-all. On Sunday, Gottlieb took to one of his favorite bully pulpits, Twitter, to outline some recent moves at the FDA designed to help you. And he provides a good overview of where the FDA is looking to improve, and how developers can make some needed upgrades as well. JC: A lot of this boils down to the cost of drug development, which is steep by any standard. JC: Perhaps some companies could do a much better job with R&D discipline? JC: Whatever is driving it, R&D costs are unsustainable. And that hurts consumers. JC: Here’s one trend that Gottlieb doesn’t like at all. A soon to be published #FDA study found that nearly 5% of novel drugs approved from 1991-2000 had a competitor within 2 years. But it took 5 more years to achieve the same level of competition for drugs approved from 2001-2010. And less competition can mean higher prices. JC: And here’s why it’s happening. One reason for the longer development period: It can be difficult to run clinical trials with a second to market drug once therapy is available to treat an unmet need or rare disease. It’s becoming harder and harder to be second. JC: Here’s what we need to do to stop it. Modern approaches to designing and conducting clinical trials can address some of these challenges. #FDA is working across our medical product centers to facilitate innovative trial designs and patient-centered endpoints that can make clinical trials more rigorous and efficient. JC: What we’re talking about here is change for the better. No one is killing the FDA’s gold standard. Do you need me to repeat that? JC: We have to be much more efficient about R&D, whether you like it or not. And FDA has encouraged several pioneering advances in clinical trial design, including Master Clinical Trial Protocols (MAPs), first used in cancer and now used more widely across FDA, in other therapeutic areas. https://t.co/zKgR7GgM7Y. JC: Here’s a popular notion that everyone supports. JC: Faster, better, cheaper trials — what’s not to like? JC: We told you about those surrogate endpoints here. They are plenty popular in biopharma. Surrogate endpoints are another clinical trial modernization tool. These endpoints are often used when clinical outcomes take a long time to study or when the surrogate’s ability to predict clinical benefit, such as reducing the HIV viral load, is well known. JC: As usual, oncology is leading the way. Everyone must follow. But how do you do that in cardio? Or diabetes? Who would pay for it? In cancer, innovative endpoints are facilitating the development of products for both accelerated and traditional approvals putting promising treatments into the hands of high-risk patient years before they would’ve been available using previous endpoints. JC: Here’s something on devices, which I don’t cover. JC: New standards at FDA are aimed at making the agency more responsive in ways that can be clearly tracked. JC: One final commercial break before the exit. We need to reduce the burden and cost of advancing care. And we need to make it easier for competition to reach the market once we have a promising new therapy. Our clinical trial advances will ensure that more patients have more safe and effective treatment options available.